Part of the „Sem-Teto“ movement1 in Rio de Janeiro has carried out squatts (called “ocupações” in Brazil) in the central area of the city and organized the management of their small territories through a highly horizontal structure (with very little traces of hierarchy) in which the deliberative spaces are open to the participation of all dwellers. These ocupações in the center of Rio de Janeiro are committed to self-management, based on the principle of solidarity and mutual aid. The dwellers organize themselves through assemblies within an autonomous movement which is not associated with any form of parties or institution. All decisions that affects or are related to each ocupação are made by their own assemblies, recognized like the only representative forum, called “Collective”. By occupying abandoned buildings the movement questions the real-estate speculation. The latter leads to the absurd fact that while 150.000 places are needed by people in the municipality of Rio de Janeiro, 250.000 places stay vacant without fulfilling any social function. The „Sem-Teto“ movement believe that the urban reform2 is something that has to be done by people´s power (poder popular), knowing that the burgees capitalist state will not attend the demand of the impoverished workers. The processes of new ocupações like these self-managed ones is usually very organized. They normally take several months of meetings with the families, discussing large topics like the urban juncture, the role of the state and his violence and the segregation of the poor. On the other hand, important themes to the internal self-management of the Collective are also debated. Themes like the internal regiment (the norms of the ocupação), the activities that is expected to be developed in the new territory (self-managed economic alternatives, community kitchen, community kindergarten, etc.) and the name of the ocupação. All these topics are discussed and the decisions are made horizontally by all the dwellers. The autonomous homeless movements in Rio de Janeiro are an example to the rest of the world that a combination of direct action and the satisfaction of basic needs can provide the conditions necessary for the construction of a sustainable grassroots movement. 1“Sem-teto” means, literally, “roofless”. This social movement, highly politicized, is composed by some sort of people , like unemployment ones, workers of the informal sector of economy (like ambulant sellers), ex-homeless (that have once lived in the streets of the city) or people who can not pay rent for a house. 2The expression „urban reform“ (in portuguese: „Reforma Urbana“) is linked with a deep discussion that emerges in Brazil specially in the middle of the 60’s. After the dictatorial government (1964-1985), when all the strong social movements dacayed appreciably, the debate about the possibilities of a new form to think and to produce the city took new strength. Then, the „urban reform“ refers to a deep socio-spatial change in the cities, particulary critical about the capitalistic status-quo. Despite the mobilization of several groups around this mote, the new Constitution aproved at the end of the 80’s (1988) includes only two articles about the urban politics (one about the „adverse possession“ – called in portuguese „usucapião“ – and the other about a vague conception of „social function of the property“). It is not rare that the term „urban reform“ is understanding like a simple reform of the urbanistic features of a city. This term englobe a much more complex and potentially radical content. “, being and acting like the landowners against the brazilian landless movement fights. Because of that situation, the INSS can be called a „latifundiário urbano“, like some activists of „sem-teto“ movement are saying. 4The central area of the city of Rio de Janeiro is passing by a „new wave“ of urbanistic restructuration. Following the demand of imobiliary capital and the state interests in the next big-events that will happens in the city on the next 6 years (World Football Cup / 2014 ; Olympic Games / 2016), the whole port area is receiving a lot of public investments to transform this area (abandoned by the state since the decline of the city’s port activity in the early twentieth century) in a new space for the investment of imobiliary capital. This project, passes by the expulsion of the poor population of the area. 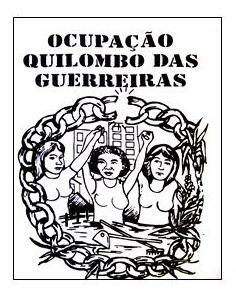 The police action in the so called „Pacifying Police Unity“ (in portuguese „Unidades de Polícia Pacificadora“, the „UPP“), the rising cost of living and the destruction of poor housing alternatives are some of the strategies adopted by the state to accomplish this task. Moreover, the three state spheres (federal, state and municipality) are together implementing a „revitalization“ plan for the area (as if the population living on ther were not even considered as “living beings”). All the popular and social movement know that the “Porto Maravilha Project” is, actually, a plan to “revitalize” the profit of national and international imobilitary and touristic capital.